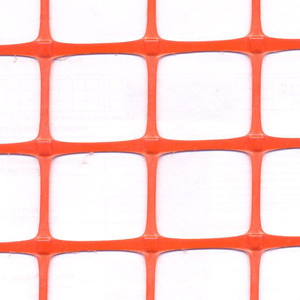 Orange safety fence is a temporary barrier, which indicates the limits of potentially hazardous area. It’s used in construction works and city beautification projects. Due to its bright orange color the fence is clearly visible and performs signaling function perfectly well. Safety fence made of plastic net is a versatile and practical tool. It can be involved in various kinds of construction: civil engineering works, road building, private house building and renovation. Orange marker posts can be used as support elements. It is advised to use a combination of traffic cones, marker posts and safety mesh to make the barrier more stable and noticeable. 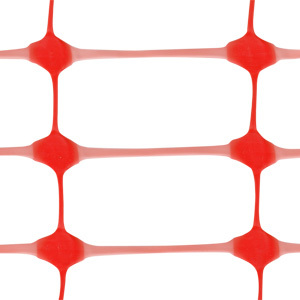 Warning barrier mesh – Benefits. The erection of solid fence around construction site is not a rational solution. This requires considerable expense, while used for only some months. Materials at hand, which can be used for these purposes, are inconvenient. Making fence of recycled roofing slate, spare old boards or metal sheets is labour-intensive and troublesome. Thus, the modern and cost-effective choice is to build a temporary fence around the construction site, using plastic mesh. It is supplied by PROTECT Company. Warning barriers are produced from different kinds of plastic and adapted for use both in Russia and far beyond its borders. Plastic is a light-weight and compact material, these features making it convenient for transportation. The delivery of small volumes of rolled-up mesh doesn’t need the involvement of heavy machinery. Whereas the installation of such temporary fence takes the minimum time: together with the net, plastic marker posts are utilized. They can be fixed with metal hooks on the soft ground or mounted on the solid ground with the help of hard polymer . If marker posts are placed with long intervals, it would be wise to thread a wire through the upper and lower edge of the mesh in order to prevent the temporary barriers slackness. 1. Affordable price. Expenses for plastic barriers are much lower than that for the fence built of roofing slate or wood, not mentioning the metal fence. The cost of transportation, loading/unloading operations and installation work must be excluded from total expenses. 2. Long operating life. Temporary fences and barriers will serve as long as necessary. Their strength and integrity are not effected by atmospheric precipitations, as the net is corrosion and frost resistant, UV-stabilized. 3. Usability. The warning barrier, which you can buy from PROTECT Company, doesn’t need any maintenance. It never requires any cleaning, repainting and other repairs, unlike similar constructions of metal or wood. 4. Easy installation, convenient storage. For fence installation you may use the complementary accessories we provide. After the final phase of construction is completed the used mesh can be rolled up and moved to another building site. With the help of our products you can reduce expenses for the safety barrier construction, without breaking requirements for safety enclosure of building site. 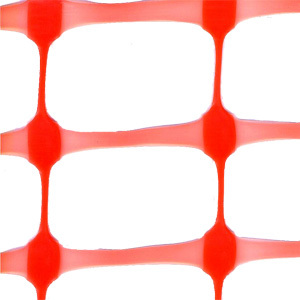 In the catalogue of our company you will find some kinds of temporary fence, varying in plastic mesh types (different strength properties and appearances), as well as additional components for quick installation in construction site. PROTECT Company manufactures three sorts of safety fence: A-45, A-90, A-95. • Regulations on executing excavation works, territory beautification projects at the national, provincial or municipal level.